Wintec point of sale was established with one main goal: to make robust, versatile and well priced Electronic Points Of Sale. By putting ourselves at the heart of your business, we have made it our responsibility to make machines that help you deliver a smooth check out process when it matters most. Founded in 2002in QingdaoChina, we have worked hard in the areas of R&D, manufacturing, sales, service and design. We are making machines that will stand the test of time through durable aluminium build, high specification chip set, as well as looking good in any retail environmen. By working hand in hand with our partners, we have also been able toundertaken several key scientific projects and achieving multiple patents and software copyrights along the way. 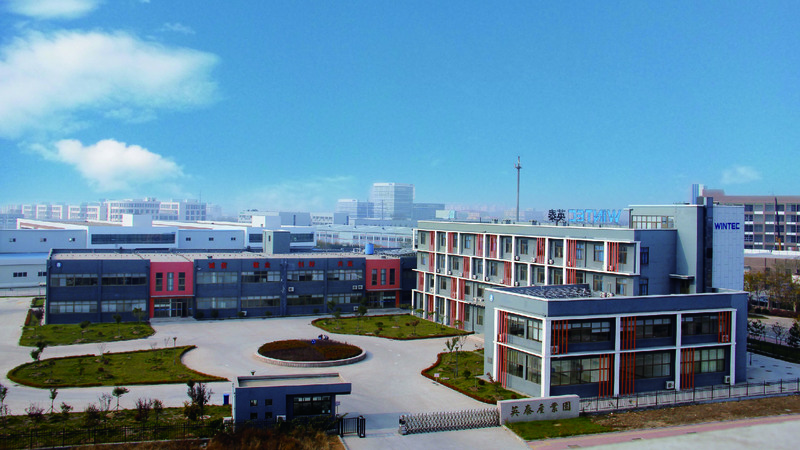 Through our growth, we have established our factory in a purpose built industrial park with advanced production line and QC equipment, supporting more than 300,000 complete sets annually. We hold both ISO9001 (Quality Management System) and the ISO14001 (Environmental Management System Certification) ensuring commitment to quality and the environment. Over time, our quality approach and competitive pricing has enabled us to expand through China and the rest of the world. Through our UK office, we have created a hub ensuring we can service the local and European markets more effectively. We can now offer much faster delivery of in stock items, offer real time support and build stronger closer relationships with our clients. We fully understand that choosing the right Epos supplier is one of the most important decisions a business will need to take. Here are a few reasons our customers like to work with us. By working with Wintec UK you are in effect working with the factory directly. You can eliminate some of the frustrations working with an overseas manufacturer may hold by working in your time zone and speaking your language. There are no minimum order quantities as all our stock items are stored locally, they are subject to availability, but should mean you can buy what you want when you want. We have teamed up with BCS UK enabling us to deliver the best service available to the UK market and some ares of Europe. Our machines don’t only look good, essential in today’s retail environment, they perform exceptionally well, due to the high standard of our components.